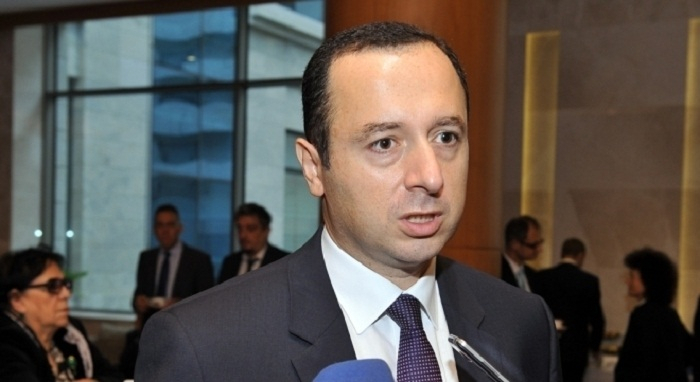 "The Azerbaijani delegation to PACE has hosted a panel meeting on a very important topic. At the event I provided information about some of the decisions of the European Court and I touched upon the case of 'Chiragov and Others v. Armenia'. The European Court's decision on this case has unequivocally shown that Armenia is fully responsible for the situation in the occupied territories. Nagorno-Karabakh and surrounding 7 regions of Azerbaijan were occupied with its direct involvement." Azerbaijan`s authorized representative in the European Court of Human Right Chingiz Asgarov spoke at panel meeting called “Illegal activities in and with regard to the occupied territories of Azerbaijan: implications for the commitments taken before the Council of Europe," AZERTAC reports. He noted that the existence and functioning of the state bodies of this country in the occupied territories were determined in the decisions on complaints of citizens of not only Azerbaijan, but also of Armenia against Armenia. Based on the complaints of Armenian citizens it was revealed that the citizens of this country are on the military service in the occupied lands. After the April 2016 war, most of the complaints were filed by Armenian citizens, which shows that Armenian citizens live in the occupied territories. This is yet another proof that Armenia occupied our lands. Armenia cannot say that there is a separatist republic. Armenia is directly responsible for the occupation of Azerbaijani territories. "A complaint has been filed to the European Court regarding Dilgam Asgarov and Shahbaz Guliyev, who were taken hostage by Armenia. The court will soon make a decision on this case. Each days of these two civilians in Armenia are considered as a day of torture. The decision on their case will be made soon," Asgarov said.